One of the biggest winners in the Fourth Annual Superhero Half Marathon, run on May 19 in Morris Township, was Morristown Meals on Wheels. The race was staged by Superhero Events LLC, a company founded in Morristown in 2010 by Heather Gardiner and Chris Russo. Over 1,600 runners braved the rain, many garbed as superheroes from Superman to Wonder Woman to the Teenage Mutant Ninja Turtles. The 13.1-mile run featured two loops, starting and ending at the Morris Township Police Department and cutting through Morris and Harding Townships and Loantaka Park. Superhero Events regularly donates a portion of its race proceeds to worthy causes. This time, Gardiner and Russo presented Morristown Meals on Wheels with a check for $2,700, a substantial gift that will go a long way toward helping us subsidize clients who can't handle the full cost of their meals. On the morning of the half marathon, eleven Meals on Wheels volunteers pitched in to help hand cups of water to thirsty runners as they puffed and panted their way around the course. It was soggy, but great fun! Donations are the lifeblood of Morristown Meals on Wheels. Recently we received a generous $200 donation from the Jerzey Derby Brigade—another organization that knows a thing or two about wheels. The Jerzey Derby Brigade brings the exciting sport of women’s flat track roller derby to Morristown. Its home rink is Inline Morristown, 38 Dumont Place. 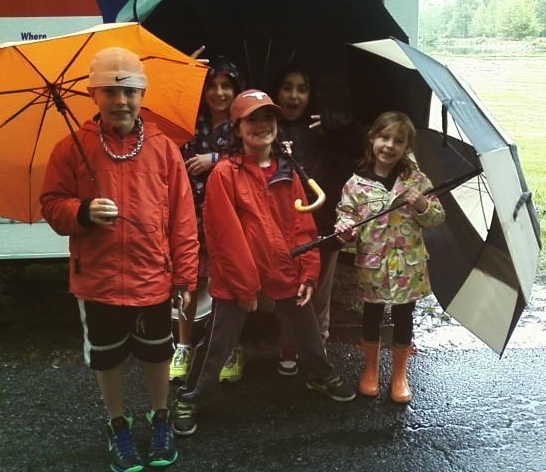 Along with providing great family entertainment, it actively supports local charities like Morristown Meals on Wheels through fundraising and volunteerism. To put the Brigade’s $200 donation into perspective, it’s enough to provide meals free to one of our needy clients for nearly six weeks! We’re proud to number the Jerzey Derby Brigade, its skaters and its fans among our friends. Learn more about them at www.jerzeyderby.com. For probably the first time in its history, Morristown Meals on Wheels will soon have four ex-clients who have reached the century mark! Rose Matera celebrated her 100th birthday in January 2012; her older sister, Mary Soranno, will turn 102 in August. 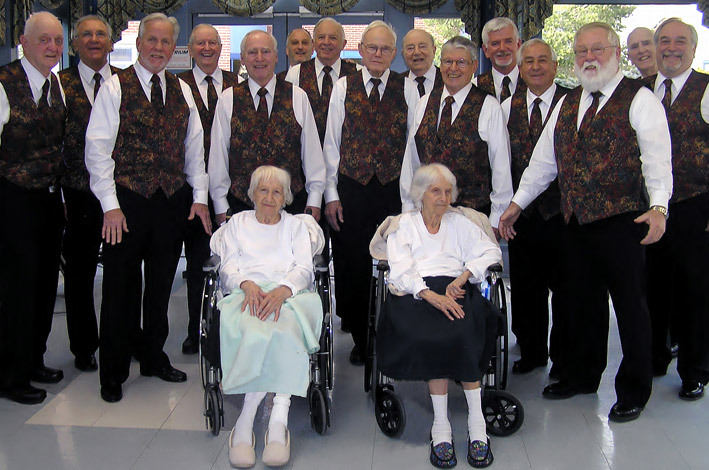 Rose and Mary are in residence at Morris View Nursing Home, where they were recently serenaded by the Morris Music Men barbershop harmony chorus. Gertrude Barry celebrated her 100th in November 2011. And Grace Bordenwill be 100 years old in May. When these lovely ladies were born—just nine years after the Wright Brothers’ first flight—New Mexico and Arizona had just become states and William Howard Taft was president.